A cool, overcast day in early May. I head for Aldis Hill to run my dog. I tell myself that it’s all for Matika, but I need to stretch my legs as much as she does. We’ve both been indoors too long. 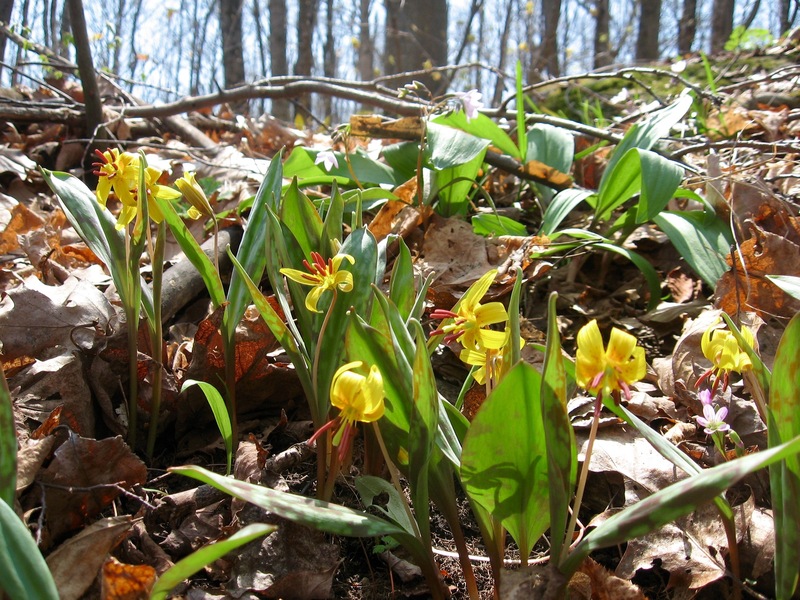 I meander up the trail in no rush, noting all the wildflowers in bloom along the way: purple trillium, dutchman’s breeches, trout lily, violets – the usual suspects. 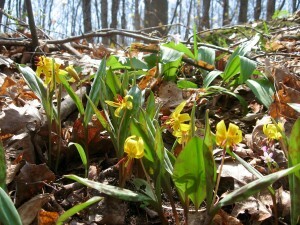 They are blooming right before the forest canopy leafs out. Their time to shine lasts only a few weeks. 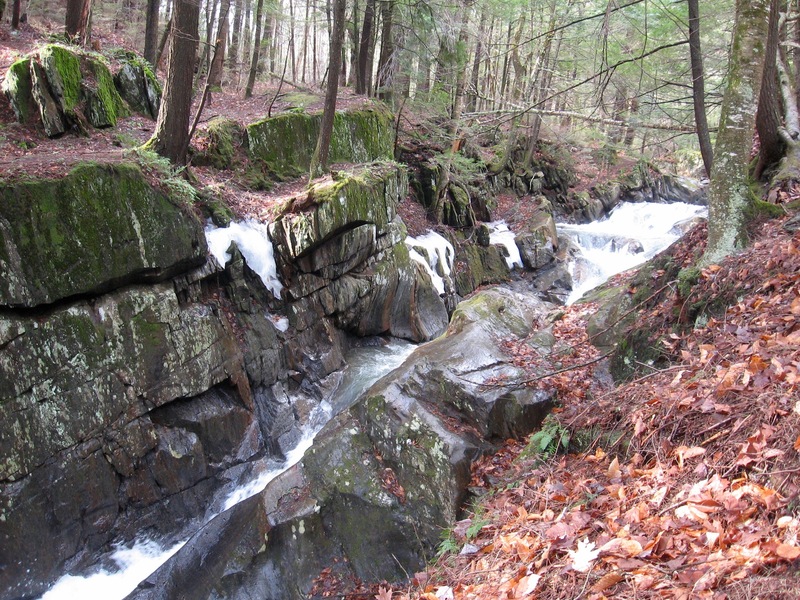 Halfway up the hill, I spot patches of green on the forest floor – the shoots of wildflowers that have recently pushed up through the bleached, brown forest duff. 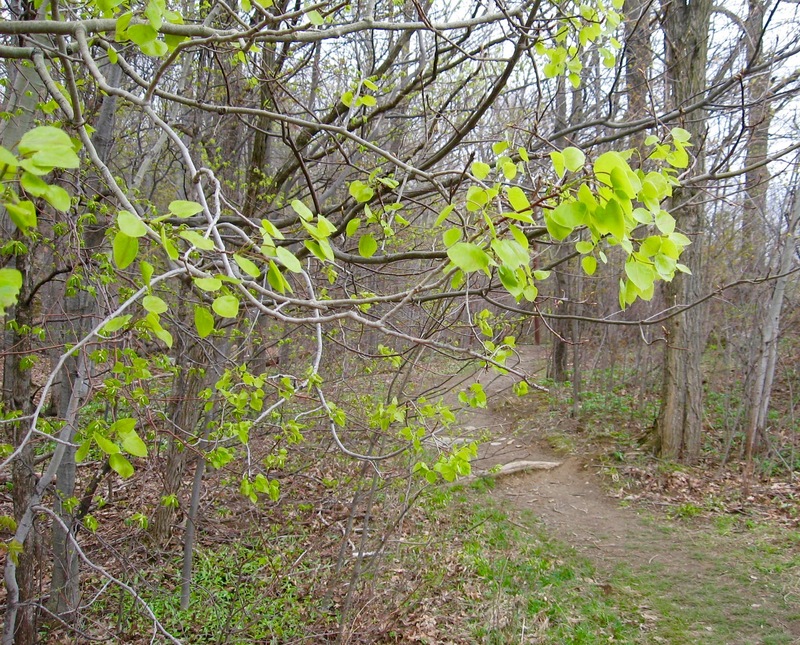 A little later, I come upon leaves unfolding from a bush next to the trail. Fresh spring verdure. No matter how much I anticipate this, it always comes as something of a surprise. Spring beauty, hepatica and bloodroot are gone already. The spring season is so ephemeral, so easy to miss. Soon the temps will reach into the 70s and I’ll let out a dreamy vernal sigh. Then the bugs will come out. 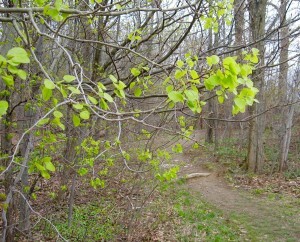 Then the verdure before me will darken to summer green. And I’ll only half notice the transformation as I go about my busy-ness. With that in mind, I take a long, hard look at the tender leaves before me right now and thank god I’m here to witness their magnificent unfolding. I awoke this morning to light coming through the window, and saw a starling at the bird feeder while I was getting breakfast. After reworking a short narrative about hiking in early spring, I could no longer contain myself. I did the bare minimum work necessary to keep my book business going then flew out the door with Matika’s leash in hand. She came running after me, all smiles. Temps had reached into the mid-40s by the time my dog and I stepped onto the icy trail at Niquette Bay State Park only half an hour from home. 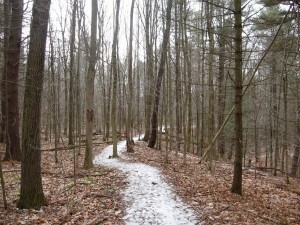 A mile out, I stripped off my light jacket and hiked in shirtsleeves as the dusting of snow on the trail underfoot melted away. Two miles out, the frozen mud began to thaw. It was a wonderful thing to behold. A crow called out in the otherwise quiet woods. I looked up to see patches of blue in a mostly grey sky. The trees were motionless in the still air. 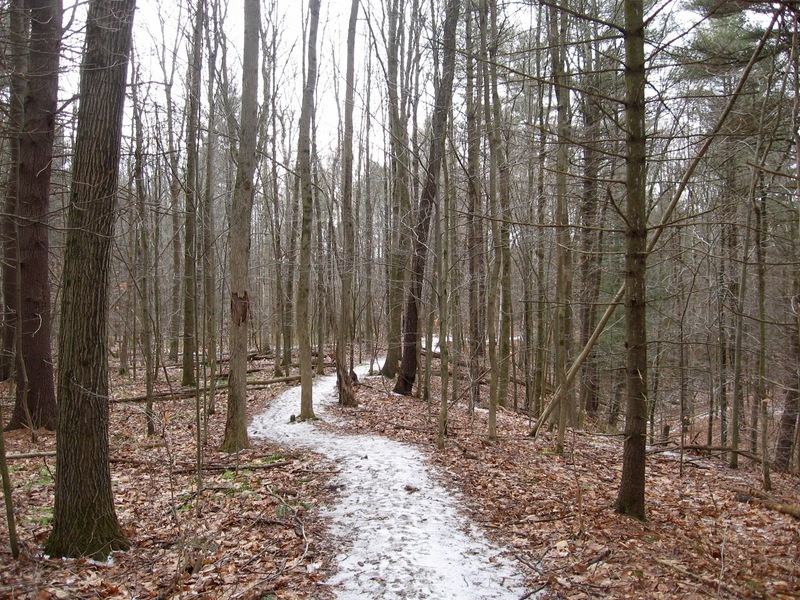 I stopped frequently during the hike just to groove on the snowless forest all around me. It was a wonderful thing to behold. Is it still winter? Do I dare think of this as the beginning of an earlier-than-usual spring? It’s a hint of spring to be sure, and for that I am grateful. I am a creature of the warmer months. I’ve done enough winter ruminating already. So bring it on! Tomorrow, I hear, is going to be a surprisingly warm day. I can’t wait.